US lawmakers voted to hold a former aide to Hillary Clinton "in contempt of Congress" for failing to testify about Clinton’s use of a private email server and account during her tenure as secretary of state, the US House of Representatives Oversight and Government Reform Committee announced in a press release on Thursday. WASHINGTON, September 22 (Sputnik) – The Committee said it had "voted in favor of a resolution and report recommending the US House of Representatives find Bryan Pagliano in contempt of Congress for refusal to comply with a subpoena." The committee voted 19-15 along party lines to send the measure to the full House for action. Pagliano, a technology specialist who worked for the US Department of State under Clinton’s leadership, was summoned to testify before the Committee on September 13 regarding the circumstances that resulted in Clinton’s failure to preserve federal records belonging to the State Department. Despite a congressional subpoena ordering him to appear, Pagliano did not show up at the Committee’s hearing. "No legal basis exists for his failure to appear," the Committee stated in Thursday’s release. In June, Pagliano invoked his rights under the US Constitution by refusing to answer questions at a deposition in a case brought by the conservative group Judicial Watch, which is seeking information on the content of Clinton’s emails she sent and received as secretary of state from 2009 to 2013. Clinton has erased 33,000 emails she deemed private in contravention to established US rules and regulations. Based on emails released so far, critics claim that people and groups who donated to the charitable foundation established by Clinton and her husband, former US president Bill Clinton, received preferential treatment from the State Department. 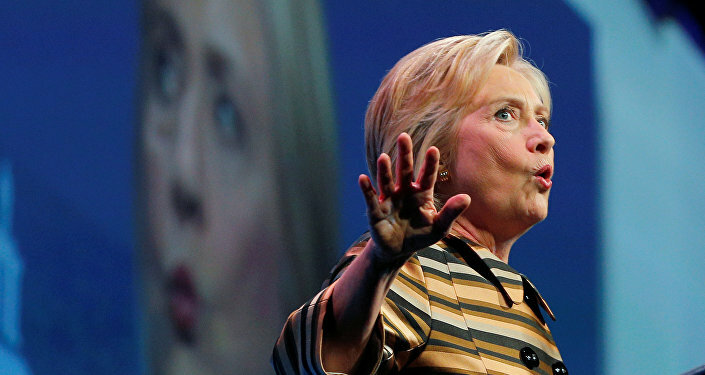 Clinton and members of her presidential campaign staff have repeatedly denied the allegations.